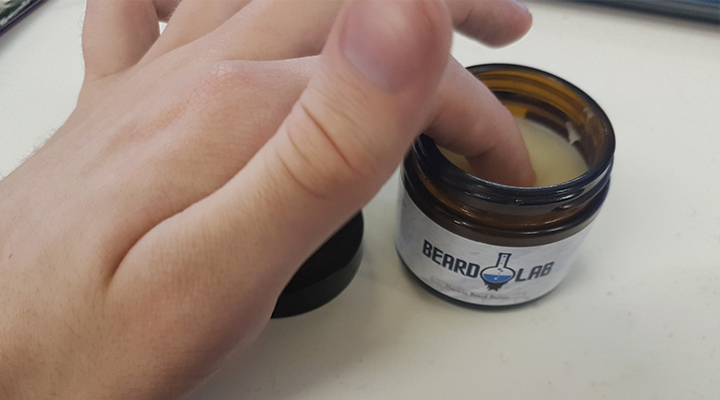 Beard butter is a new one for me; I’ve tried oils, balms and waxes, but never butters. I have to say, it’s been a pleasant surprise. The scent took a little bit of getting used to for me – it might be because I read the label, which comes with a handy mention of “contains nut oils,” so maybe my brain was telling me it smells very nutty. But after a couple of uses, the citrus-y scents really started to come through, and I do love a citrus-y scent. 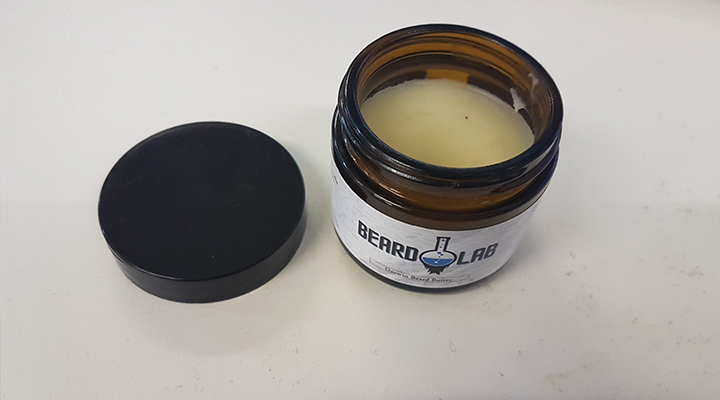 If you love lemons or Starburst, you’ll love the scent of Darwin Beard Butter. This stuff is simple and easy to use, just scoop a small amount out on the tip of your finger and rub it in to your hands (first time you use it, the butter may be a little solid but it melts fairly easily if you just rub your fingers on the surface). After that rub it in to your beard, enjoy those lovely scents wafting up, and congrats; you have buttered your beard! If you have a long or thick beard you might need to do a couple of applications, but such are the risks of being so beardy. 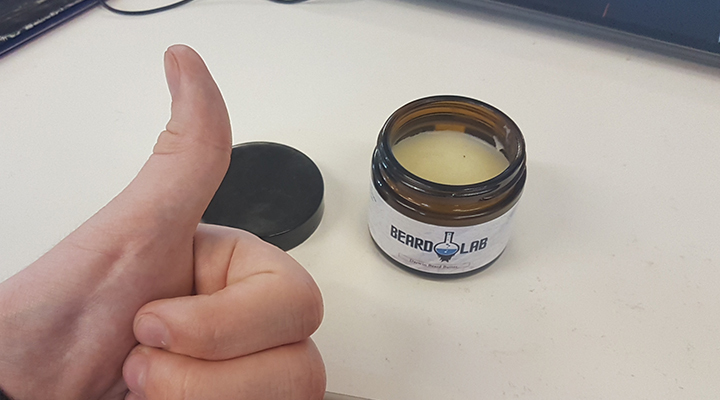 Even if you do have a lengthy beard, Darwin Beard Butter will last you a while with regular use. I’ve had my tub for just over a week, used daily and barely even made a dent yet. So rest assured, you’re definitely getting value for money here – expect your tub to last about two months. 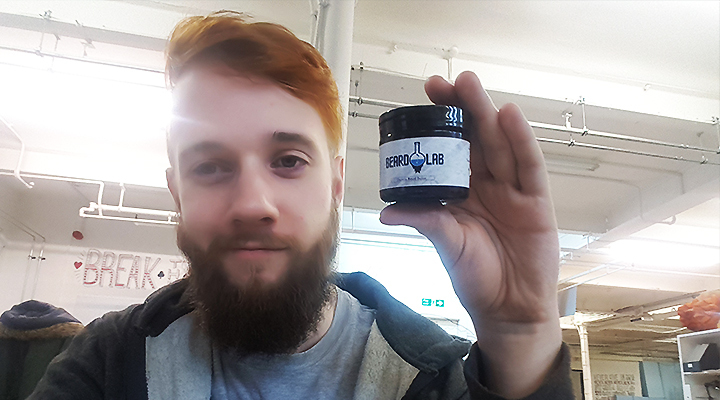 So if you’re after a new beard product to soften and tame your bristles, we couldn’t recommend Beard Lab’s Darwin Beard Butter enough. This one has the Bristlr stamp of approval.